Starting in the US, text ads will show only in the mainline at the top and bottom of search results pages. Now you can easily compare old Ad variations in Adwords! AdWords now shows ad version history. Version history shows all old versions with their dates and edits, how long they were in place and what changed, plus performance. Mack Zuckerberg was on Capitol Hill to defend his company’s reputation, enduring two days of questioning in front of Congress and trying to assure the public that Facebook was still a friendly platform. There are thousands of resources on new product development online and offline. Most recommend the classic (or its variants) development process: Idea Generation, Screening, Concept Development and Testing, Marketing Strategy Development, Business Analysis, Product Development, Market Testing, and Commercialization. And if well executed, the process is most effective. They all end at commercialization. But because new product development is not an exact science, no amount of preparation and research can predict with absolute certainty that a product will succeed in the market. Which invariably means that some products will blow (New Coke is always a good example). How do you know your newly launched product is blowing, why is it blowing? Can it be salvaged and how? Should it be salvaged or shelved? In other words, you need to do a post-launch review. This is a model I developed for a client. Hope you find it useful. Volume: Has the product been able to meet the projected volume of sales within a stipulated time? Market share: Has the product captured the projected market share? Revenue: Has it met its revenue targets? Product Awareness—to measure (product and its benefits) awareness level in the market. 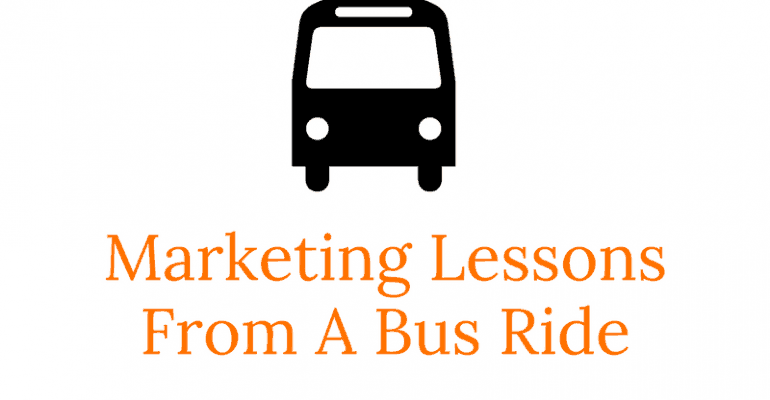 Follow this up with Marketing Lessons from a Bus Ride. Educated people just love to think they are wiser than the less educated folks—which is a shame. I sure used to think the same way. Take marketing for example. There are some key marketing concepts drilled into every marketing professional. Things like the Four Ps, Segmentation, Targeting etc. There are tomes of books written on these subjects. Well, last week I encountered a brilliant marketer. Guess where? You guessed right, in a bus. For the first time in fifteen years, I found myself inside a Lagos Molue (those rickety commuter buses). We had barely left the bus-stop when a well-dressed man (by molue standard) stood up, held up a bible and started singing popular Christian songs. A few minutes later, he started praying for the passengers. The whole bus became quiet, and the only sound was the man’s shrill voice and the booming chorus of amen by the passengers. Thus, gaining the rapt attention of the passenger this way, the man commenced his real business. In a mixture of barely literate English and pidgin, he started by denouncing the avarice and insensitivity of our government in general. He then zeroed-in (with righteous indignation) on the health sector. He lamented how the cost of healthcare has gone beyond the reach of the common man………….finally, he brought out a sachet of some Chinese herbal medicine which he claimed could prevent all kinds of diseases. He extolled the virtues and efficacy of Chinese traditional medicine in general and his product in particular…….. The result? Over 50 percent of the passengers in that bus bought something from the man! What is the marketing lesson? Target effectively: One of the main causes of marketing failure is the failure to identify the right target for our offering. The first thing the man in the Molue did right was to understand that only the people in the lower echelon of the society will patronize his kind of product. Had he marketed the same product to a more sophisticated audience, he would have been a resounding failure. Spend time to target the right prospect. Prospects that need your product; can afford your product; and most importantly, prospects that will see you and your offering as credible. Appeal to emotion: identifying rightly that Nigerians (especially the poor ones) are a religious lot, our man started his pitch with a religious “service”. The result is that he gained the undivided attention of his audience. He built the emotional connection further by using we-against-them tactics (they being the government and we being he and his audience). Establish an emotional connection with your prospect before you try to sell him. Media: you must identify the best medium to communicate with your target. Who enters Molue? The struggling masses of course. 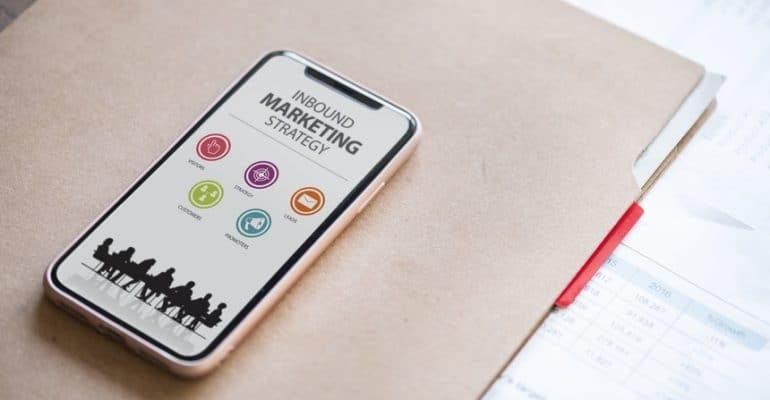 In a previous post, I promised to discuss in details how to go about setting up a professional digital marketing campaign for your brand, from strategy formulation to performance evaluation. This blog post is geared towards doing just that. Even though the title says digital marketing in Nigeria, I believe this approach will work in any market. Of late, I have been having series of meetings with prospective clients and one of the first questions I ask at the discovery stage is: “what internet marketing strategy do you have in place”? The commonest answers are “we advertise on Facebook”, “we have employed somebody to manage our Twitter and Facebook account”, “We have banner ads on XYZ sites”…….Little wonder virtually all of these companies are reporting little or no ROI from their online marketing activities. What, Mr. Man, Is Strategy? A plan of action or policy designed to achieve a major or overall aim. Strategy helps you answer the question, “What are we trying to accomplish?” As can be inferred from this definition, you can see that you cannot say you have a strategy if you do not have a clear objective. “One helpful trick to check if you have a strategy (usually timeless) or tactic (tools/technology dependent in your hand is changing the tools and see if it still applies. For example, a timeless strategy is – “Connect with customers while in our store and increase sales.” If you this is 1901, you’d post large posters and have employees running around and talking with customers. If it is 1987, you’d have electronic boards with specials, if it is 2012 you’d have an HTML5 page or an app that helps you connect to customers and in 2015 you’d fully support Google glasses. The strategy never changed, the tactics did”. So, without a clear strategy, your online marketing effort is doomed to failure. This is the process of leveraging social media platforms (like Facebook, Twitter, Instagram, LinkedIn etc) to market to your target audience. This involves incentivizing other sites to promote your products in exchange for a share of the revenue they drive. Your Company Goal: What are the top objectives of your company’s online marketing effort? Brand Awareness: Your objective is to achieve greater brand visibility and increase the likelihood that consumers recognize the existence and availability of your company’s product or service. Boost Sales: You objective is to make more sale. Period. Market Education: Your product or service is new (or has new features) and potential customers are yet to realize that the problem they need to solve. Budget: How much do you have to spend on your digital marketing activities? Lastly, there are two other primary variables that can be added to the selection process that falls under the realm of strategic market analysis. Namely an understanding of your customers and the competitors. If your company has (or develops) a strong understanding of customer needs and behavior, then it will be better able to target those customers to achieve the company goals. A lot has changed in the Nigeria e-commerce space. For one, the Nigeria e-commerce space has experienced phenomenal attention with the influx of millions of foreign capital into the sector. While this has deepened the industry in terms of scale, operational sophistication, visibility etc, one rarely talked about effect of this growth, is the increasing cost of customer acquisition. Getting customers to your e-commerce site is now a whole lot more difficult now than it was two years ago. For example, I ran several Adword campaigns in 2011 for a couple of Nigeria e-commerce sites and my average CPC was never above 30 cent – even for competitive keywords. Now you pay about a dollar or more for the same keywords. The case with organic search is even worse. In 2011, I remember that with just a little On-Page optimization, you could easily start ranking for your target keywords (and lots of long-tailed keywords). Fast forward and SEO result is a whole lot more difficult. Now, with the relatively high cost of getting visitors to your site, it becomes imperative for you to get the most from your site visitors. And for e-commerce sites, that means getting more of your site visitors to buy from you. The process of getting more result from your site visitor is called Conversion Rate Optimization, CRO. CRO is a complex subject that cannot be covered in one blog post. So, I have created a series of blog posts on Conversion Rate Optimization Tips For Nigeria E-commerce Sites. Below are areas of e-commerce touch point optimization that if implemented, will help your Nigeria e-commerce site eliminate the core conversion roadblocks of usability, friction or anxiety factors. -What is the impression that a user gets when he or she arrives at your online store? -What kind of result do users see when they type something in your product search box? -What do you say in your communication to your users when they register, reset a password, subscribe or place an order? -What happens if a user lands on an ‘out of stock’ product page? -Where a user searches for a product that doesn’t exist or out of stock, what happens? -What does a user see if he enters an invalid email address during registration? -How simple is your checkout process? -What are the trust-building elements on your site to reduce cart abandonment? Use a blend of sales report and analytical tools like Google Analytics to determine your best-performing products & categories. Once these are identified, give them more visibility by promoting them in banner sliders and recommended products. This has been one of the main reasons for high shopping cart abandonment in almost all the Nigeria e-commerce store I have worked on. The answer is simple, clearly show all the different ways in which a customer can pay for an order on your site. I will strongly recommend that you have “Pay On Delivery” and, to make it the most conspicuous payment option on your site. This is especially important at this stage of e-commerce in Nigeria when most customers are still skeptical about the credibility of online shopping. The category links in the navigation should be in the ascending order of their popularity. That is the most effective arrangement. The second option is to arrange them alphabetically. a. Implement intelligent search to cover singular, plurals, misspells etc. For example, a search for ‘shoe’ & ‘shoes’ should return the same results associated with shoes(s). b. Implement Auto-Suggestion to help the user search for relevant keywords. This is one of the commonest search functionality wherein as the user types his search query in the search box, suggestions are shown. This feature makes it easier for them to find the desired product more quickly. Studies after studies have shown that image is always the first thing that a visitor will notice as soon as he lands on your site. Quality product image will help your store convert better. 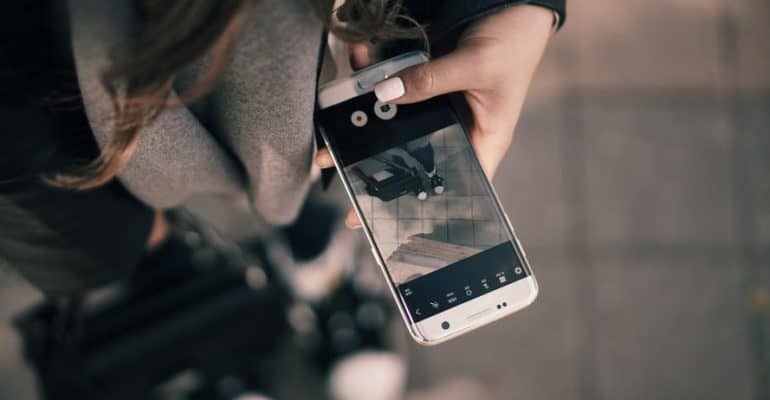 Another side to this is that, apart from using quality product images on your site, you should also show as many as we can – from different angles. This is one area almost all Nigeria e-commerce sites are guilty. It is wrong to just copy and paste manufacturer’s description on your product page. The product description is a sales copy and it should be seen in that light. -Arrange the product features in order of importance. -Even though I said earlier that you should write see your product description copy as a sales copy, you should not oversell. – users will know if our claims aren’t genuine. One of the main complaints about Nigeria e-commerce sites is a failure to deliver within the promised time. While I understand the temptation to over promise, it is much wiser to under-promise and over-deliver. This is one of the best ways to build positive word of mouth and referrals about your e-commerce site. Not only should you give realistic delivery time, users should know when they can expect to receive the product if they order. ii. Positive customer reviews also make your store more credible and thus improve your conversion rate. -Security: Make it clear to users that your site is secure and that their privacy will never be compromised. -Transparency: There should not be any hidden charges. VAT, shipping cost etc should be stated clearly. -Payment Methods: I talked about this earlier. All payment methods users can use to make payment for goods bought on your site should be clearly stated (Mobile Money, Credit Cards, Bank deposit, Pay On Delivery etc). Users want the buying process to be over as soon as possible. So, anything you can do to shorten the amount of work they need to do will increase your conversion. start by removing ALL fields that are not absolutely necessary on your forms. It’s not a good idea to make them enter the same information twice. It is important you do not confuse your site users. One way he can be frustrated is if he is not able to proceed because he is missing out filling some information which has not been marked as a mandatory field. It is important you use an asterisk (*) to clearly mark optional fields. One of the less known factors for conversion rate improvement of e-commerce sites is the “About Us”. A surprisingly large number of users actually go to the About page before they make a purchase from an online store. This is especially so if they are visiting the store for the first time. -Give a bit of information about why your company was started. It is very important that you have a phone number prominently displayed on your homepage. And, your physical office address should be featured on your site as well. your customers must know that real people are available to help if they’re lost or confused. It is also a trust builder especially in Nigeria where there is still apathy about online shopping. If your store’s returns policy isn’t clear, visitors might get apprehensive when buying from our store. Your returns policy should be visible, clear and buyer-friendly so that people feel safe while shopping with you. Prior to the advent of GSM in 2001, phone penetration was low to the point of being negligible. Nitel had the monopoly. But all that changed with the GSM revolution brought by the licensing of Econet, Mtel, MTN and the later entry of Glo and Etisalat into the industry. At first, all that was needed for marketing success was availability. Because the demand for a phone was far more than the supply, these companies were on a roll, snapping subscribers after subscribers from phone starved Nigerians. That has since changed. The landscape is becoming more competitive and the growth rates of yesteryears are becoming hard to replicate. In a nutshell, continued success in the contemporary Nigerian GSM market calls for marketing wizardry. Despite the figure being brandished by NCC, the Nigerian telecom market is reaching saturation point. Most of the new lines being activated are purchased by people who already own one or more phones. An additional phone line does not translate to increase airtime usage; in fact, the reverse is mostly the case. The mobile industry ARPU (Average Revenue Per User) in 2003 was around $54 per month but as at December 2008, it has fallen to $13. So how are the major players in the Nigerian telecom industry facing this reality? It is the undisputed market leader in coverage, revenue and subscriber base. This is easily attributable to MTN’s marketing savvy. Effective differentiation and positioning are the biggest determinants of marketing success. And MTN is a master of the craft, exemplified by its product and service actually owning values — real and perceived, rational and emotional in the consumers’ minds. And their possession of these values and meaning in the consumers’ minds (beyond primacy of product) has enabled them to successfully differentiate themselves. That was the original competitive advantage of MTN. In the early years of GSM in Nigeria, while its main competitor – Airtel (then Econet) was mired in management crisis, MTN was building capacity and adding town after town under its coverage. After which it started covering all the major highways in the country. And having achieved broader coverage than its competitors, MTN quickly reflected this in its positioning statement — changing its tagline from the best connection (a generic and daft tagline) to everywhere you go. It then followed logically that if you want to be able to use your phone wherever you may be in the country, you have only one choice: get connected to MTN. This message is subtly embedded in the company communication message. It is really doubtful whether MTN has a more quality network than its competitors, but that is not the issue. The issue is that MTN was smart enough to take advantage of an unexploited positioning opportunity. The result is that MTN owns the word reliability in the customer’s mind. This is largely a quantitative issue. With over 40% of the market, the leadership position is a given. And coupled with its association with coverage and reliability, MTN’s leadership is unquestionable. The result? Decreased price sensitivity. MTN’s charges are about the highest in the market, yet the company still adds more new subscribers than its competitors year after year. This is just one of the benefits MTN is enjoying from its supremely high brand equity. For MTN to continue to enjoy its position, it must become even better in its marketing. Leaders lose when they make mistake in their marketing strategy. MTN’s market success was helped by the mediocrity of its competitors’ marketing. And it would be naïve of MTN to expect a continuation of this state of affairs. And most especially, MTN needs to know that as much as your brand equity gives you price premium, in an industry like telecoms, it is only for a time. This is because as the number of offers within a category multiplies, the differences between them start to become increasingly trivial and loyalty to the best value replaces any previous loyalty to a brand. There are only a few brand mis-management graver than that of Airtel Nigeria. On August 5, 2001, Airtel became the first telecoms operator to launch commercial GSM services in Nigeria. In its first two years of operation in Nigeria, the company was running neck to neck with MTN for the leadership position in the industry. But a deluge of management crisis led to its loss of momentum. This situation was further compounded by the perennial identity change of Airtel – five times in the last couple of years. Econet, Vmobile, Celtel, Zain, and Airtel. All these factors make the job of managing the brand a challenging one. Unfortunately, the company’s marketing has been average at best. What does Airtel stand for? What associative cue does the name Airtel evoke? To me the answer is confusion. This sad state of affairs is not only the result of perennial identity change; it also results from poor product management strategy. Airtel has so many products in the market that it is very difficult for a prospective subscriber to know the one that is most suitable for him. The way to build a strong brand is having a narrow focus and owning a word in the mind. Because Airtel lacks any meaningful differentiation, it will always realize meager results from its marketing. The result has been that Airtel has had to compete on price. Now, if being the low price provider is Airtel’s value proposition, (let’s leave the appropriateness of this strategy for now) then the smart thing for Airtel is to convey it in all its messages and in everything it does. This, Airtel has failed to do. It is not all gloom for the brand. Airtel needs to first take stock of its marketing asset and devise ways to get the optimum result from them. For instance, survey after survey has shown that Airtel is perceived as a most customer-focused company. But Airtel seems oblivious of this great marketing asset that if properly utilized can pay a huge dividend to its brand. This, coupled with its low price could form the nucleus of Airtel’s positioning strategy. And a brand perceived as customer-centric will always enjoy market success. The huge publicity that accompanied the story of how the company won, lost and fought to re-win operating license from NCC. The company came at a time Nigerians were becoming increasingly disgruntled by the high cost of GSM service. And Glo did not disappoint. At least initially. It won wide market acceptance and goodwill by launching its service on per seconds billing (i.e. the prevailing practice then was per minute billing whereby even if your call terminates after one second, you still pay for the full minute). It also priced its sim cards cheaper than what was available in the market thereby ensuring that more people had access to its service. And it paid off. Despite being a late entrant into the market, in a little over three years, GLO captured about 25% of the Nigerian GSM market. Unfortunately, the company marketing since then has been mediocre and wasteful. Effective marketing involves much more than overpriced ads and flashy celebrity display. Yes, celebrity display. If there is any marketing practice Glo is known for, it is her unprecedented use of celebrity endorsement. But celebrity endorsement as a core brand building strategy is simply stupid (except in some industries like lifestyle, cosmetics, and fashion). Another marketing practice associated with Glo is sales promotion. In fact, it is an inside joke in the Nigerian marketing community that Glo doesn’t do marketing—it does only promotion. The problem is, you don’t build a brand by sales promotion—you only build temporary sales. Glo is the first single company to build an $800 million high capacity fiber optic cable—this huge investment shows GLO’s belief in and commitment to Nigeria and its resolve to provide its subscribers the highest quality service. In other words, Glo has the most claim to the word quality in the customer’s mind. The potency of these assets is that they could be used to connect with the market on an emotional level. All that is needed is a good positioning strategy. But that, for now, is what is lacking in Globacom. Had Etisalat entered the Nigerian telecoms market earlier, it probably would have attained market leadership by now. The reason for this is not farfetched: Etisalat is simply the most creative marketer in the Nigerian telecoms industry. Etisalat’s market entry strategy is the most well thought out I have seen in Nigeria. First, the company recognized it was coming into a developed market which means it would have to gain customers from the existing providers. And to overcome this uphill task, Etisalat started by first identifying the singular reason people find it difficult to change their GSM service provider even when they are dissatisfied with the service they are getting—which is that changing provider will mean changing phone number, (i.e. there is no sim convergence in Nigeria) a daunting and inconvenient prospect. This, Etisalat addressed by asking people to choose any phone number they want. And people did. Choosing numbers that are similar to their existing numbers. As a result, Etisalat gained hundreds of thousands of subscribers even before it launched its services! and Etisalat’s subsequent marketing has equally been brilliant. here Etisalat performed better than its competitors. For example, it effectively targeted the young population with the Easy clique, a product that resonates well with that market segment. Etisalat has become the trendsetter in the industry as far as meaningful sales promotion is concerned. In fact, its competitors have been reduced to copying its promotions. But, despite all the above, Etisalat still needs to improve its marketing. What the company needs most at this stage is a deepening of its subscriber base. As much as brand building is vital, at least equal if not more attention should be devoted to sales building marketing. If there is anything that all these tell us, it is simply that the old school of marketing is still the only school that counts: know your consumer. Segment and Target accordingly. Position specifically by ensuring that your brand stands for something clear, important and differentiating. Nigerian companies are finally embracing online marketing. As someone who has been at the forefront of advocating this paradigm shift, this development should make me happy. Unfortunately, this is not so. My unhappiness with the Nigeria companies’ new found love for digital marketing stems from the level of mediocrity I see being exhibited by new digital marketers. This post will dwell on what is wrong with the approach of most Nigeria companies to online marketing and how they can jettison mediocrity and start deploying ROI focused digital marketing programs. Now, when you juxtapose the stats above with the ever-worsening case of banner ads fatigue, you will begin to understand what I am talking about. So, for a brand to build its whole online marketing strategy on banner ads is preposterous, to say the least. Sorry sir, The truth is, social media is not the marketing panacea it has been sold to you as. In fact, countless studies have shown that social media is the second least effective marketing channel after banner ads! Does the above mean companies should not utilize banner ads and social media marketing channels? Not exactly. The point I am trying to make is that “banners ads or social media are only a small part of the creative offering – if used well they can perform equally as well as other channels for both branding and DR. The real insight comes when a company looks beyond each silo and start to measure the cross-channel value of a campaign, optimizing based on what works and equally what does not.